State BJP president R C Faldu had specially invited former chief minister Keshubhai Patel to come over to the party’s new head office at Shri Kamalam to mark its 35th foundation day. 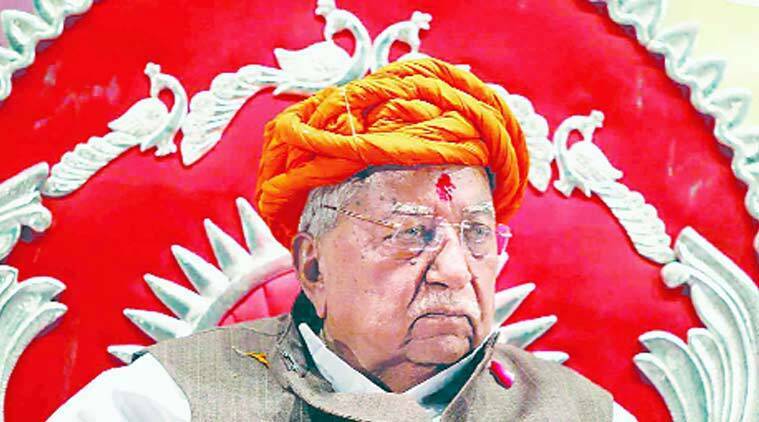 It was a sort of “ghar wapsi” (homecoming) for former chief minister Keshubhai Patel at Shri Kamalam, the BJP head office, on Monday, when he visited the place for the first time after he came back to the party fold. State BJP president R C Faldu had specially invited him to come over to the party’s new head office to mark its 35th foundation day. Senior party leaders welcomed him at the party’s head office earlier in the day when the old and the new party workers attended special orientation meetings and senior party workers were assigned the task of guiding new entrants right up to ward level (shakti kendra). Party workers were administered the oath of allegiance at the workers meetings. The veterans of old Jana Sangh and the new entrants held interactive meetings to exchange ideas and programme details. On his part, Keshubhai Patel offered floral tributes to late Deendayal Upadhyay and Dr Shyama Prasad Mookherji besides spending some lighter moments with party seniors and expressed happiness over the maiden visit to Koba office. Patel also spoke of “panchromatic”, a set of five resolves – of integral humanism, nationalism before politics, respect for all religions, equal and exploitation-free society and strength of democracy. Party workers were also administered pledge to stand by these cardinal rules, said state BJP spokesman I K Jadeja in a press statement. In Ahmedabad, the city unit of the party organised worker meetings in all the 64 municipal wards under the guidance of city unit president and Ellisbridge MLA Rakesh Shah.